To see the whole cartoon, click here. In the northern hardwood forest, climate change is poised to reduce the viability of the maple syrup industry, spread wildlife diseases and tree pests, and change timber resources. And, according to a new BioScience paper just released by twenty-one scientists, without long-term studies at the local scale -- we will be ill-prepared to predict and manage these effects. during his 'Do The Math' tour stop at Brown University. PROVIDENCE — The environmental movement's most recognized activist used humor and fun to deliver his message to combat climate change, but his call to action was serious. 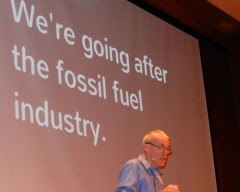 Bill McKibben, author, activist and college professor, received a standing ovation when he took the stage Monday night at a packed auditorium at Brown University. He urged the audience of college students and local environmentalists of all ages to take on the fossil-fuel industry through protests and an active campaign of divestment. "As of tonight, we're going after the fossil-fuel industry," he said. This is the third article in a series by Samuel Bell on RIFuture.org. In the previous installment I discussed the devastation wrought by massive austerity, which was the principle cause of Rhode Island’s terrible jobs picture. The traditional justification from austerity apologists is that those public sector cuts were necessary, and Rhode Island was forced to make those layoffs. Of course, this argument makes no sense in Rhode Island not just because the cutbacks began before the second Bush recession but also because the government found the money for a huge income tax cut for the rich, cutting the top rate from 9.9% to 5.99%. 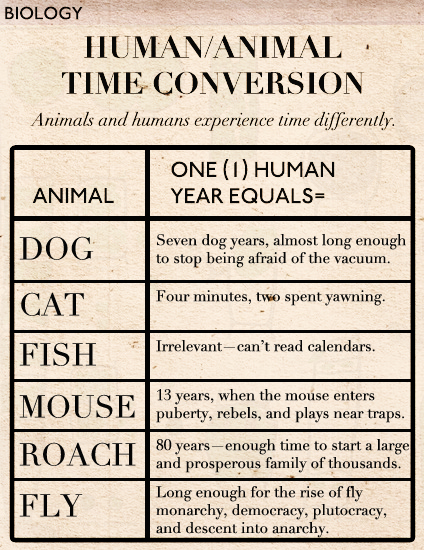 This brings me to the subject of today’s column: taxes. Look out, Bambi, here they come again! PROVIDENCE - The Department of Environmental Management reminds all Rhode Islanders that, for safety reasons, they must wear fluorescent orange when in state management areas during the shotgun deer hunting season, which opens on Saturday, December 1. Hunters are required to wear 500 square inches of fluorescent orange during the shotgun season. Throughout all shotgun deer seasons, all other users of state management areas also must wear at least 500 square inches of solid, daylight fluorescent orange material. For all hunters and management area users, the orange clothing should include a hat and vest worn above the waist and visible in all directions. Archers are exempt from wearing hunter orange in areas of the state that are limited to hunting by archery-only. Deer hunting hours remain one-half hour before sunrise to one-half hour after sunset. Worried about a casino? About Whalerock? The election is over. The CCA tightened its grip on Charlestown government. 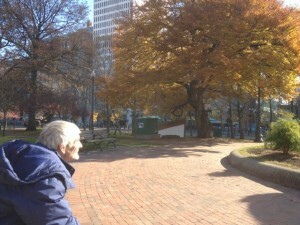 Planning Commissar Ruth Platner is reviewing the catalogs looking for some Charlestown open space to buy for Christmas. Here’s a Christmas gift suggestion: buy Larry LeBlanc’s 81 almost pristine acres sitting atop Charlestown’s moraine. If the CCA is serious about open space (and we know they are), here are five reasons why now is the time to restart negotiations with LeBlanc. Brought to you in Tom the Dancing Bug by Ruben Bolling. Who's visiting the Cleaver house? How massive can a normal star be? Estimates made from distance, brightness and standard solar models had given one star in the open cluster Pismis 24 over 200 times the mass of our Sun, nearly making it the record holder. This star is the brightest object located just above the gas front in the above image. Close inspection of images taken with the Hubble Space Telescope, however, have shown that Pismis 24-1 derives its brilliant luminosity not from a single star but from three at least. Component stars would still remain near 100 solar masses, making them among the more massive stars currently on record. Toward the bottom of the image, stars are still forming in the associated emission nebula NGC 6357. Appearing perhaps like a Gothic cathedral, energetic stars near the center appear to be breaking out and illuminating a spectacular cocoon. This is the second article in a series by Samuel Bell on RIFuture.org. I don't want to be told that thanks to Global Warming - now accepted by the majority (77%) of Americans and so therefore, in my opinion, a new Tipping Point - strawberry plants can now survive a Greenland winter. I don't want to see neat little rows of budding lettuce plants growing outside a polytunnel. OUTSIDE a polytunnel; over-wintering under the snow but come the Spring, still alive and sprouting new shoots; cabbage and potatoes to follow. 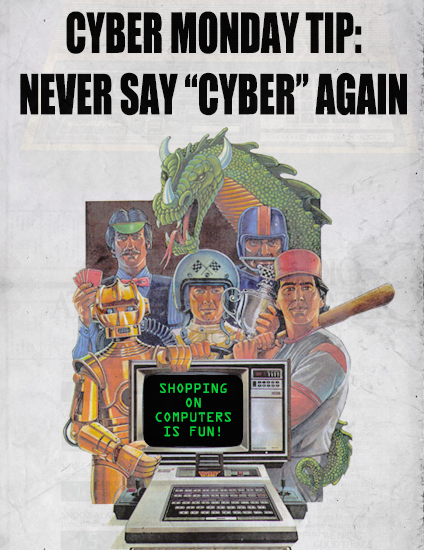 The CCA wants you to send an e-mail to the RI Congressional delegation and the Governor. See the text of the message they want you to send (left). Barred spiral galaxy NGC 1365 is truly a majestic island universe some 200,000 light-years across. Located a mere 60 million light-years away toward the chemical constellation Fornax, NGC 1365 is a dominant member of the well-studied Fornax galaxy cluster. This sharp color image shows intense star forming regions at the ends of the bar and along the spiral arms, and details of dust lanes cutting across the galaxy's bright core. At the core lies a supermassive black hole. Astronomers think NGC 1365's prominent bar plays a crucial role in the galaxy's evolution, drawing gas and dust into a star-forming maelstrom and ultimately feeding material into the central black hole. Discovered on October 27, the position of a bright supernova is indicated in NGC 1365. Cataloged as SN2012fr, the type Ia supernova is the explosion of a white dwarf star. The first article in a series by Samuel Bell on RIFuture.org. 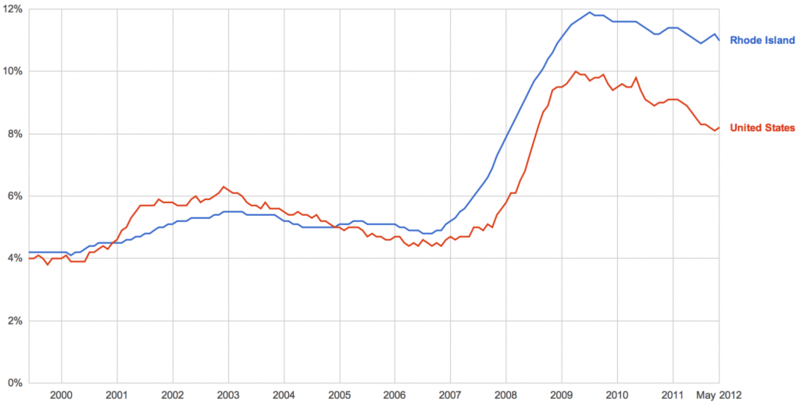 It may be hard to remember now, but ten years ago, Rhode Island’s unemployment rate was below the national average. Today, of course, it’s the second highest in America. 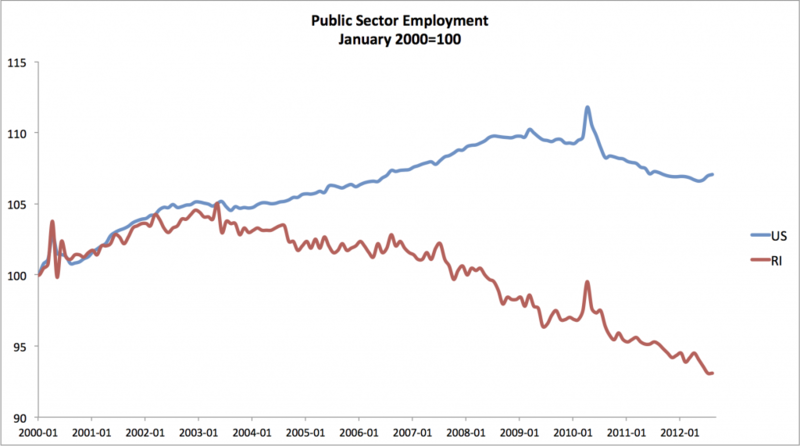 Only Nevada has a worse jobs picture. Clearly, something went very badly wrong. The question is what. Read the rest of this article on RIFuture.org, along with lively reader discussion, here. I am the Rhode Island State Coordinator for the Progressive Democrats of America. My primary interest is Rhode Island's economy and what we can do to fix it. 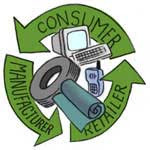 EDITOR'S NOTE: Rep. Donna Walsh has been one of the leading champions of legislation to require producers of dangerous or hard to dispose of products to take responsibility for safe disposal and recycling. PROVIDENCE — Rhode Island has a long history with trash. It was the first state, in 1986, to enact mandatory recycling. It also was an early adopter of take-back programs for car batteries and tires. During a recent Statehouse hearing of the new Senate commission studying comprehensive statewide waste reduction, much of this history was recounted by the people who helped shape it. Developer Larry LeBlanc has refiled his lawsuit against the town of Charlestown and the Planning Commission in the long-running dispute over LeBlanc’s proposed industrial wind farm that would be placed at the top of Charlestown’s moraine between King’s Factory Road and Prosser Trail. This past weekend I visited Aquidneck Island’s new winter farmers market in Portsmouth to see what vegetables I could find in addition to a few other items. I learned from Karla Simmons of Simmons Organic Farm that farmers had a tough time growing Brussels sprouts this year so that item has, unfortunately, been eliminated from my menu. 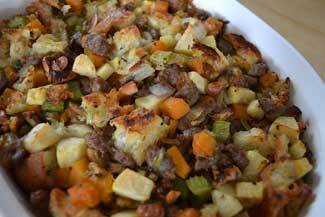 But what I was happy to find was almost all of my ingredients for my stuffing. I bought the bread, apples and sausage at the market, and while I’ve never included butternut squash, I decided to try it as well. Hurricane Sandy was a monster. It changed lives and changed the actual land shapes along the coasts affected. 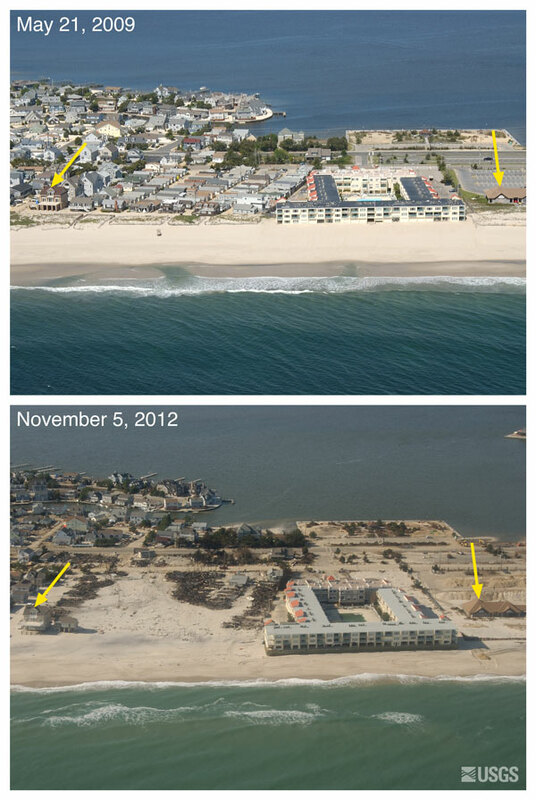 The USGS has released a series of aerial photographs showing before-and-after images of Hurricane Sandy's impacts on the Atlantic Coast. Among the latest photo pairs to be published are images showing the extent of coastal change in North Carolina, Virginia, Maryland, and Delaware. The photos, part of a USGS assessment of coastal change from as far south as the Outer Banks of North Carolina to as far north as Massachusetts, show that the storm caused dramatic changes to portions of shoreline extending hundreds of miles. Pre- and post-storm images of the New Jersey and New York shoreline in particular tell a story of a coastal landscape that was considerably altered by the historic storm. Meanwhile, images from hundreds of miles south of the storm’s landfall demonstrate that the storm’s breadth caused significant coastal change as far south as the Carolinas. Homelessness in Rhode Island, by and large, does not look like it does in the dispatches I filed during my 48 hours of living on the streets and in a shelter. In fact, the slice of homelessness that I portrayed plays to the worst stereotypes about those without homes: that they are drunks, drug addicts, mentally ill and/or criminals. Waiting for the CCA call for Charlestown to circle the wagons again? Obama overwhelmingly won the Latino vote despite his lackluster immigration record. 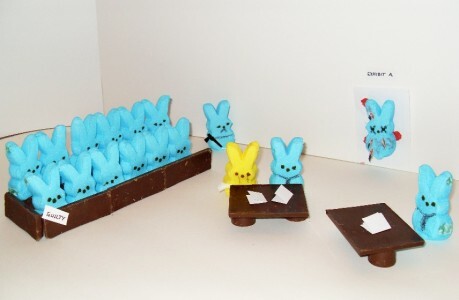 a campaign rally in Wisconsin. Photo by Mundo Hispanico. Clearly, we Latinos love President Barack Obama. He garnered nearly three-fourths of our vote. In battleground states like Nevada, Florida, and Colorado , we helped catapult the incumbent president to victory. With all the advances in electronics and social media, it is no wonder that children are opting to stay in the comfort of the indoors rather than pursuing outdoor activities. It is at times like these that parents need to be extra vigilant in forcing their kids out of the house and play around like a kid. A new study from the University of Bristol has given another valid reason for keeping children outside. According to their research, children who spend more time outside are less likely to develop myopia (near-sightedness) than children who prefer the indoors and staring at a lit-up screen. 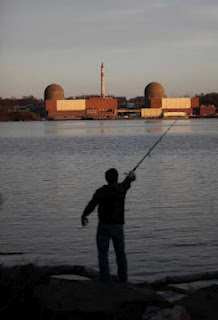 Last summer, I reported on plans by the Millstone nuclear power plant, located just 20 miles due west of Charlestown, to dramatically increase the amount of high-level radioactive waste that will be stored indefinitely on site, and on problems Millstone had with its cooling water. The plant, owned by Virginia-based Dominion Energy, hopes to get regulatory approval for its plan to store 3.6 million pounds of radioactive waste in dry cask. Since there is no permanent nuclear waste repository in the US, most nuclear power plants store their waste on site, either in cooling ponds or in casks, or both. The cooling ponds are not considered safe long-term storage since they could be breached by natural events, accident or sabotage. The disastrous Fukushima power plant accident was caused when the cooling water system for its waste was compromised by last year’s earthquake and tsunami in Japan, leading to a massive fire that caused exposure and contamination far beyond 20 miles from the site. On November 19, the NRC cited Millstone for safety violations that occurred during an emergency preparedness exercise it conducted with state and local agencies in the surrounding communities. 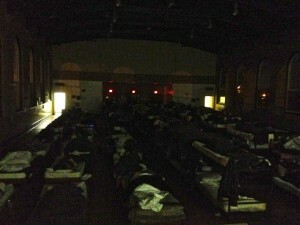 Sleeping at Harrington Hall, the overnight shelter in Cranston, is something of a mix between being in prison and being at a frat house for old men. The very spacious, former gymnasium/auditorium at the Pastore Center state services campus, was even once a part of the prison system. The building somehow related to the psych ward, I was told, or the “old insane asylum,” as one homeless man called it. He was happy to talk history, but not to give his name. Fox News is continuing to show weakness in its primetime schedule in the wake of President Obama’s reelection. In the eight days since election day MSNBC’s average audience for the key 25-54 year old demographic drew about 8% more viewers than Fox. 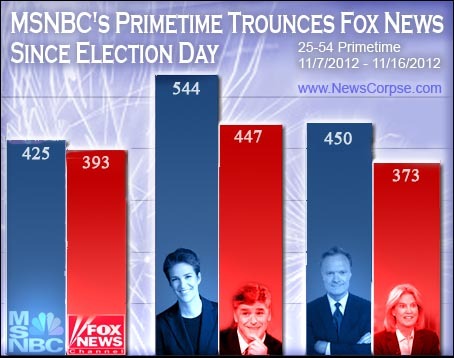 MSNBC led Fox in primetime on five of the eight days between November 7 and November 16. The sickening thud of a bird crashing into a window is an all-too-familiar sound for many Canadian homeowners. Birds often mistake windows for openings, flying into the glass at full speed. A startling new analysis suggests about 22 million Canadian birds die each year from such crashes, researchers reported Sept. 4 in Wildlife Research. Undergraduate biology students at the University of Alberta, supervised by biologist Erin Bayne, surveyed 1,750 local residents in person and through social media. The recruited citizens provided the number of fatal bird strikes at their homes during the previous year. There’s lots of birdfeed to choose from, much of it is produced as a sideline business and can contain low quality fill that birds just won’t eat. Some birdfeed has even been identified as containing toxins known to be harmful to wildlife. Responsible research on your bird feed choices will provide birds with the food they require and protect them from toxic chemicals. 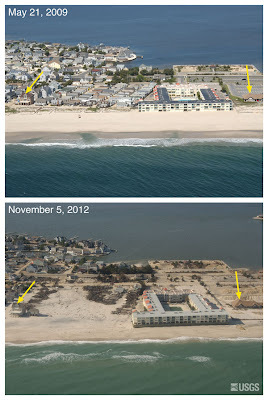 A few days after Hurricane Sandy shattered the shores of New Jersey, Gov. Chris Christie picked up the phone to take on a different kind of recovery work: taming the Republican Party fury over his effusive embrace of President Obama. 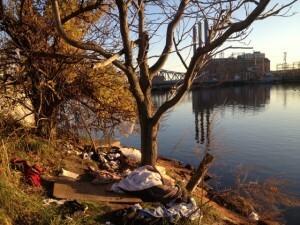 One of the most common reasons people are homeless is because of substance abuse. This isn’t to say we should shun them because of their addiction. Alcoholism and drug dependency are diseases, and diseases aren’t typically easy to overcome all by yourself – especially when every single aspect of life is a struggle, as is the case for the homeless. And besides, from a purely selfish point of view, as a community we have a very vested interest in not having addicts roaming our public spaces and streets. After the shellacking on November 6th, political voices across the ideological spectrum called on the Republican Party of Rhode Island to adapt or die. Words like “moderate,” “women,” and “Latinos” were thrown around, often with reckless disregard for their meanings. 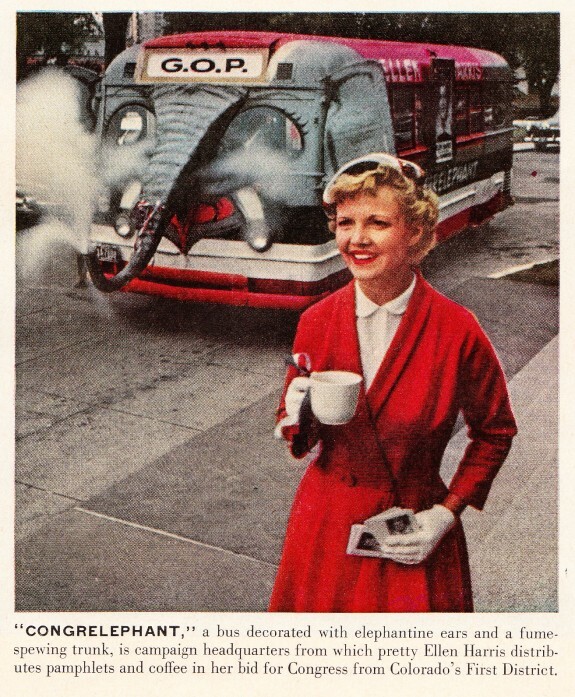 Appeal to these voters, so the story goes, and the Republicans will regain competitiveness. 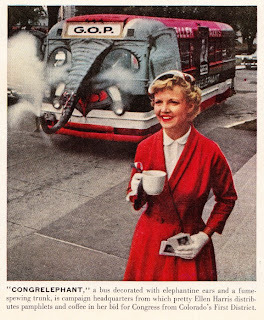 Now, maybe the Republicans can swallow their revulsion towards immigrants, slap some lipstick on that elephant, and somehow pretend they’re alright with government helping people out and not mandating what can and cannot be done in the bedroom; but I really doubt it. That’s just too much change. on the lawn of the State House. 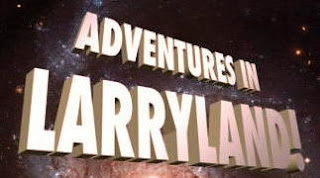 Episode 1 is here; episode 2 is here. Words can’t describe how thankful I am for the spate of warm weather this Thanksgiving weekend. I’m sure the thousands of other people who spent the night sleeping on streets of Providence would concur. 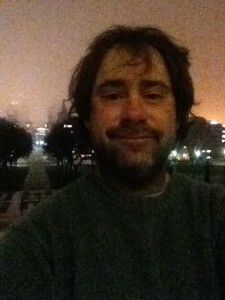 Because I know the area, it’s well protected, grassy and soft and – most importantly – close to other humans in case of emergency, I slept on the lawn of the State House. Continuing from Homeless Like Me. 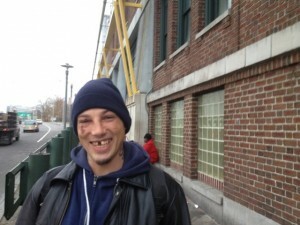 Billy Cormier became the first fellow I connected with as I began my 48 hours of living on the streets of Providence when, by way of introducing myself, I walked up to the park bench he was sitting on in Burnside Park and asked him where the free meal was. I had talked to a couple of people before him – one man about my age, shivering cold with open sores on his face had asked me for spare change but didn’t want to converse after I told him no; and another guy politely told me to take the 31 bus to the meal but made it pretty clear he didn’t want to join me. An excerpt from an ecoRI.org article by KYLE HENCE/ecoRI News contributor. Read the entire article here. “Cape Spin: An American Power Struggle” is a compelling, tragicomic and unbiased film expose of how the chaotic confluence of local, state and federal politics and the power of money can clash, cloud a vital issue, and prevent resolution and progress toward energy sustainability and a cleaner environment. The film documents an protracted battle over a proposal to install 130 400-foot-high wind turbines in Nantucket Sound — an issue that drove a wedge amongst the wealthy, the Wampanoag tribe, environmentalists and countless quaint communities across Cape Cod, Nantucket and Martha’s Vineyard. 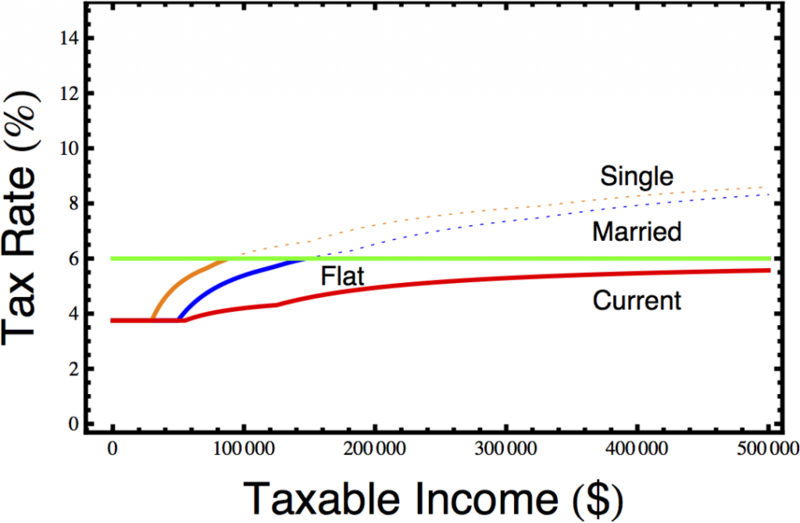 Want an Efficient Historic Tax Credit? As the maneuvering in advance of the next legislative session gets into gear, we keep hearing that the state’s historic structures tax credit is to be revived. To recap: for several years, Rhode Island had a tax credit available for developers who restored historic buildings. It was essentially a subsidy for 30% of the cost of the project. In a variety of ways it was a decent program, with low overhead to administer, and the subsidies went to a variety of worthwhile projects, mostly in the cities that need it. We must hold him accountable for living up to his visionary rhetoric and call him out on the shortsightedness of his energy policy. Like most U.S. climate activists, I breathed a sigh of relief as the election returns rolled in. You didn't have to be paranoid to fear that Mitt Romney just wasn't taking seriously the potential devastation in store for us if we don't change course. The Republican hopeful even tried to score political points by poking fun at President Barack Obama for taking climate change seriously. And in his acceptance speech, Obama laid out a vision of a nation "that isn't threatened by the destructive power of a warming planet." Still, it would be naïve to assume that Obama's victory is a win for the environment or the communities most impacted by climate change. 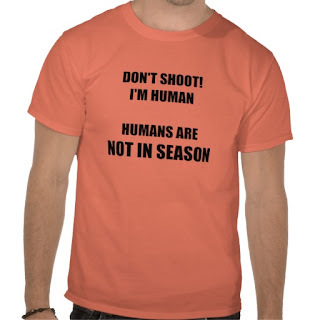 DON’T SHOOT or eat this! Is Coastal Development Washed Up?